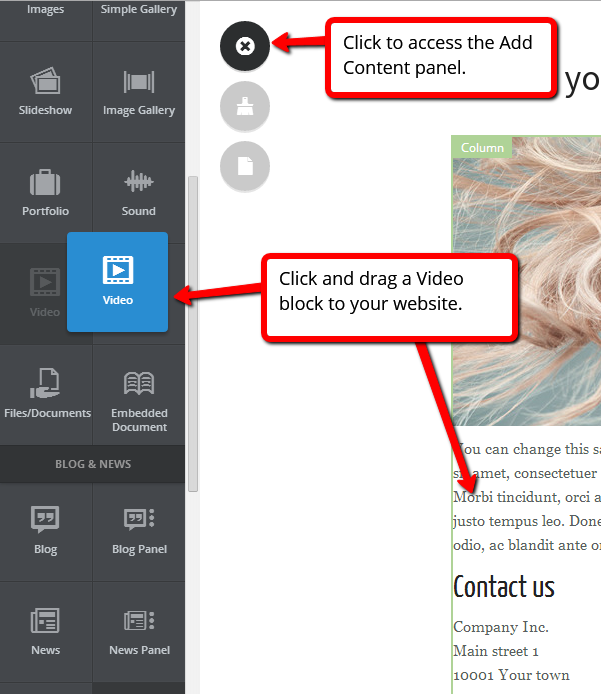 With our Video element, its easy to show videos on your site. 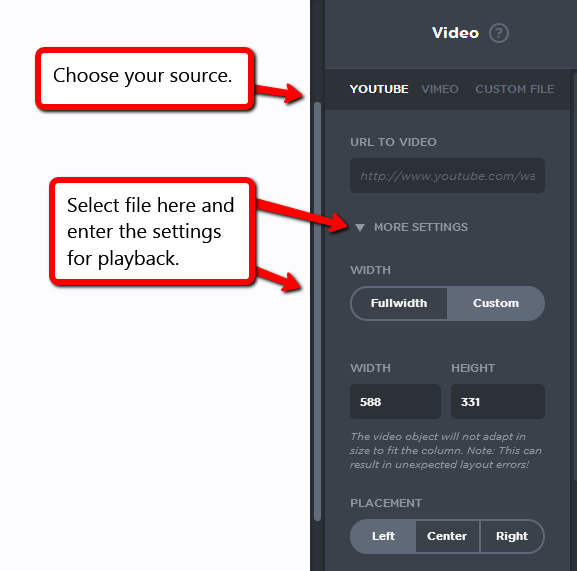 In this guide we'll have a closer look on how to add videos that are already online (such as YouTube clips), and upload your own clips. Which video formats can I add? Your own videos - FLV, F4V, MP4, and MOV where MP4- and MOV-files must be compressed in H.264-format. First of all, let's have a look at adding a video from YouTube or Vimeo. Mouse over the block to show the Video panel. Click Settings.